Collfryn Farm Cottages01938 590080work Self-cateringThese five traditional Welsh barns on a working, organic, beef, sheep and cereal farm, have been converted to provide quality accommodation for families or small groups looking for a countryside experience within striking distance of some of the UK’s finest attractions. The Collfryn Estate is surrounded by the pure and natural beauty of the mid Wales countryside. The nearest village Llansantffraid is a small, self sufficient village with a couple of pubs, shops, a garage and café. The village itself is almost entirely encircled by water from the rivers Vyrnwy, Cain and Tanat, and the Berwyn Mountains provide a beautiful backdrop, making it a truly wonderful and relaxing place to visit. 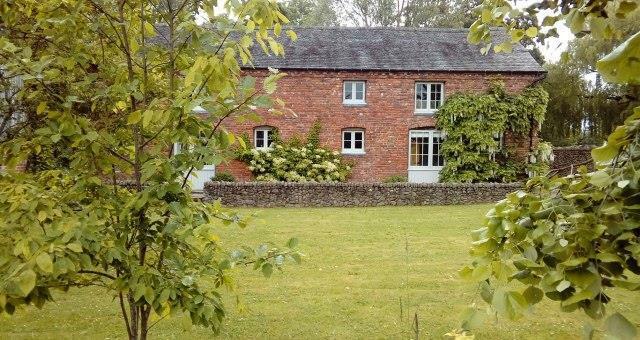 Due to its great geographical position, Collfryn Estate is literally a few miles away from the border counties of Shropshire and Cheshire, and the North Wales areas of Gwynedd and Clwyd.Ideal for families or small groups looking for a countryside experience within striking distance of many fine attractions. There are four National Trust properties locally, the nearest being Powis Castle, then Chirk Castle, Attingham Park and Erddig. Activities nearby include horse riding, golf, excellent walking, mountain biking, motorcycle scrambling, paintballing, go karting, bowling, kayaking, white water rafting, gorge walking and quad trekking. Explore lime kilns, Llanymynech Rocks Nature Reserve, canals or take a trip on the Llanfair light steam railway. 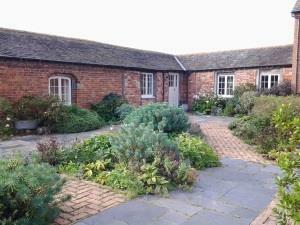 Visit Park Hall working farm, the Theatre Severn in Shropshire and the medieval town of Shrewsbury. The historic city of Chester is within easy reach, with its zoo, cathedral, racecourse, Crocky Trail adventure playground and Blue Planet Aquarium. Visitors of all ages will enjoy Zip World and Bounce Below, which is located in Gwynedd, and the Cambrian coast, beautiful beaches and stunning Snowdonia are also worth a day trip. Beach 50 miles. Shop, pub and restaurant 3 miles. All four properties can be booked together to accommodate up to 26 guests. ONLINE BOOKING AND AVAILABLITY AT www.collfrynfarmcottages.co.uk. These five traditional Welsh barns on a working, organic, beef, sheep and cereal farm, have been converted to provide quality accommodation for families or small groups looking for a countryside experience within striking distance of some of the UK’s finest attractions. The Collfryn Estate is surrounded by the pure and natural beauty of the mid Wales countryside. Tennis available by arrangement. ONLINE BOOKING AND AVAILABLITY AT www.collfrynfarmcottages.co.uk. FROM THE SOUTH - Take M6 north of Birmingham. Continue to the end of M54 and join the Shrewsbury by-pass following signs for Wales, Welshpool. Continue for several miles over several islands and turn left off the BY-pass west of Shrewsbury at the island signed A458 Welshpool. Continue towards Welshpool for 2 miles past petrol station on your left. Turn right after the pub onto B4393 signposted Lake Vyrnwy/Four Crosses. Continue along this road for several miles passing through the villages of Alberbury, Coedway and CrewGreen. After crossing the River Severn at the narrow bridge (controlled by traffic lights) continue through Llandrinio straight ahead for signs to Welshpool (do not turn right signed Llansantffriad). Continue over the rise to the end of the road and turn left immediately right signed Penrhos and continue approx. 2 miles. Turn right opposite old school/church hall signed Deytheur and continue up hill for 0.5 miles. Turn left after passing the nugalows on your right and continue for approx. 1.5 miles past farms. The cottages are located just past a large Georgian house on your right and farm to the left. Turn right onto stoned drive to carpark behind the farm. FROM THE NORTH (Oswestry): Leave Oswestry and join the A483 to Welshpool and continue for 3 miles until you reach a crossroads with the White Lion pub on it. Turn right onto A495 signed Llansantffraid. Follow signs for Llansantfrraid. As you are approaching the village, turn left over a narrow bridge onto B4393 signed Four Crosses/Shrewsbury and take 1st right signed Deytheur. Pas small hamlet and turn right signed Trefnanney and continue for a further 2 miles. When you reach a small crossroad (easily missed as right hand side leads to a farmyard). Turn left onto narrow lane. Pass cottages on the left and continue along the lane for a few hundred yards and you will see Collfryn farm Cottages on the left and the large Georgain farmhouse to the right. Take your first stone driveway to the left and follow it into the car park. Nearest train stations are in Welshpool, Gobowen or Shrewsbury. There are no buses passing the cottages.